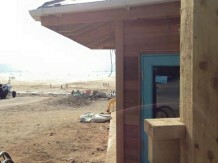 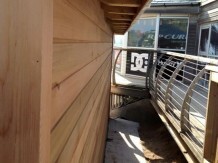 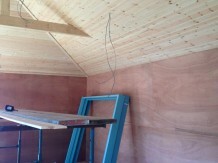 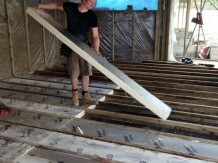 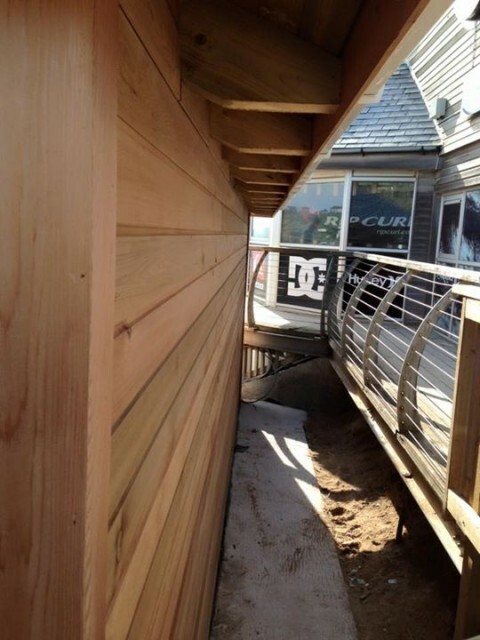 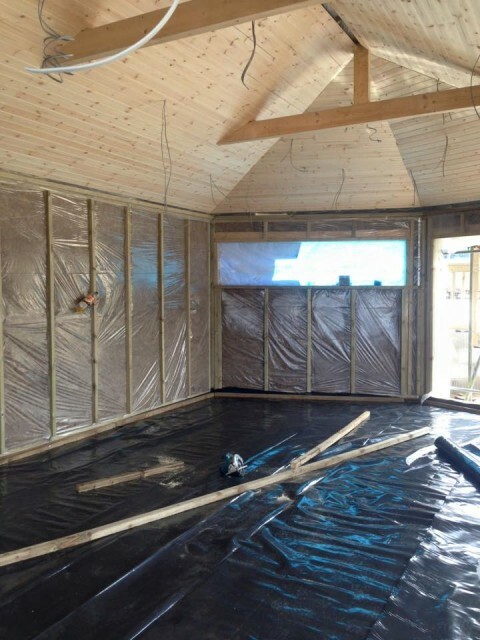 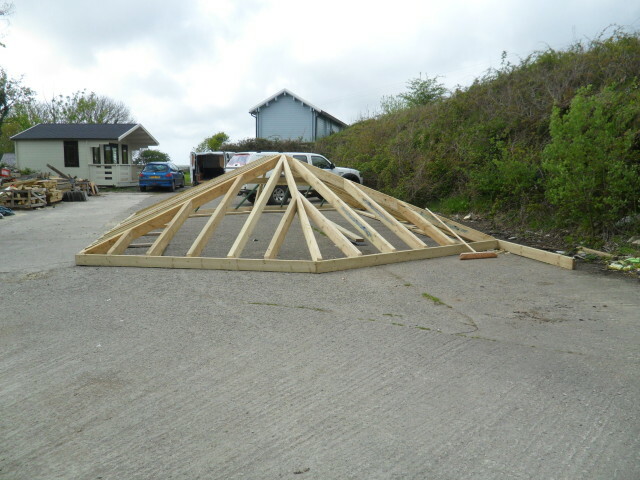 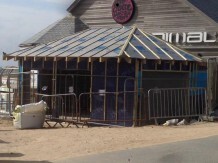 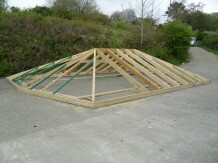 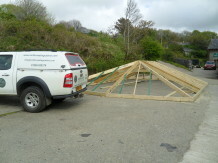 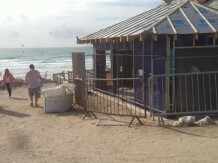 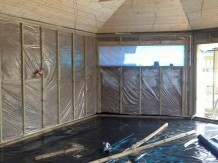 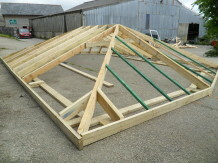 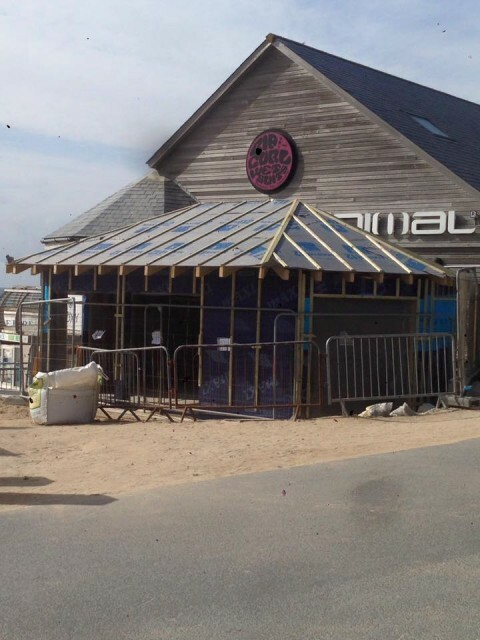 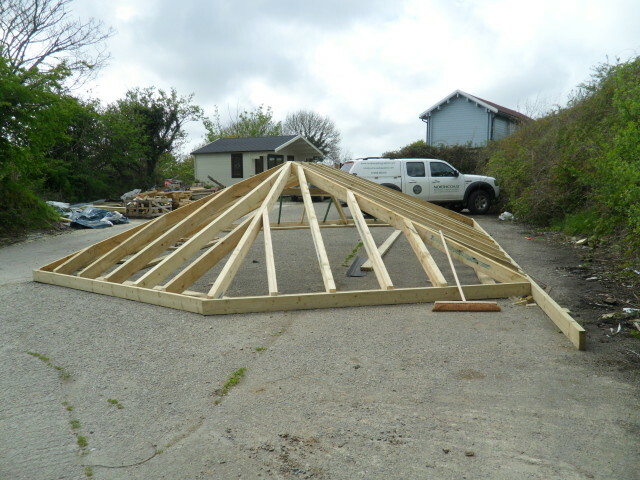 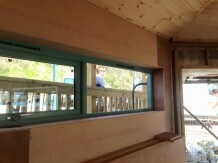 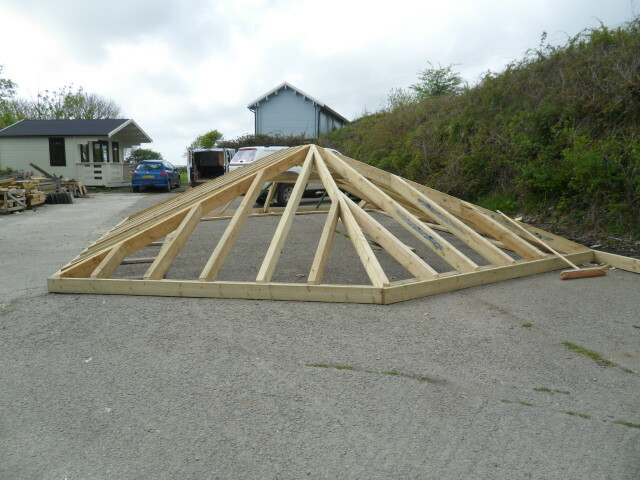 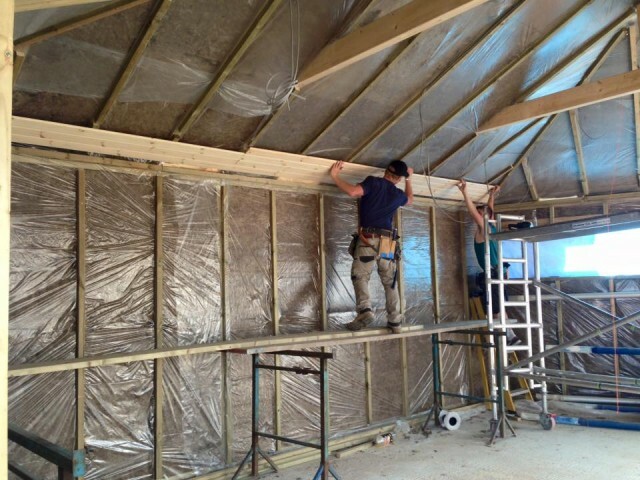 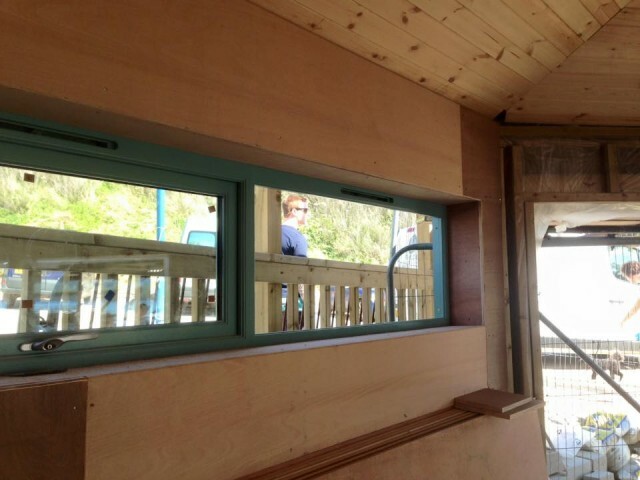 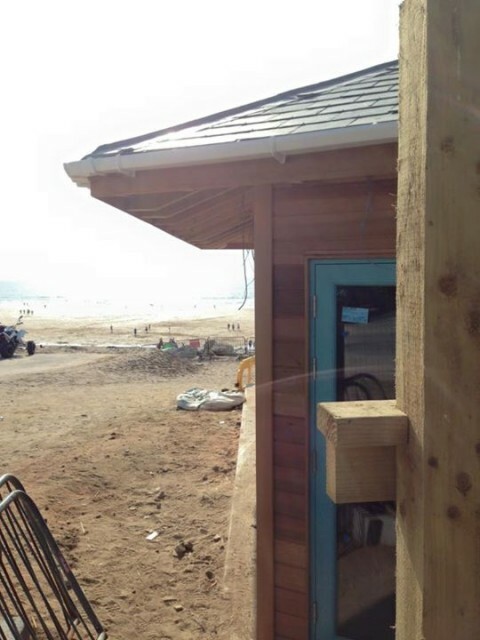 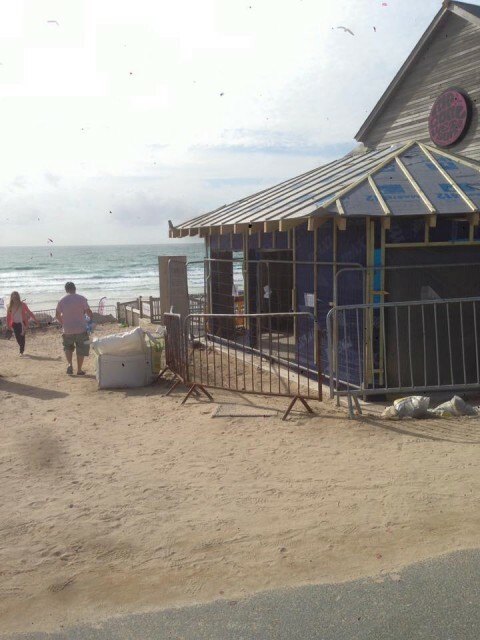 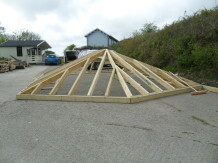 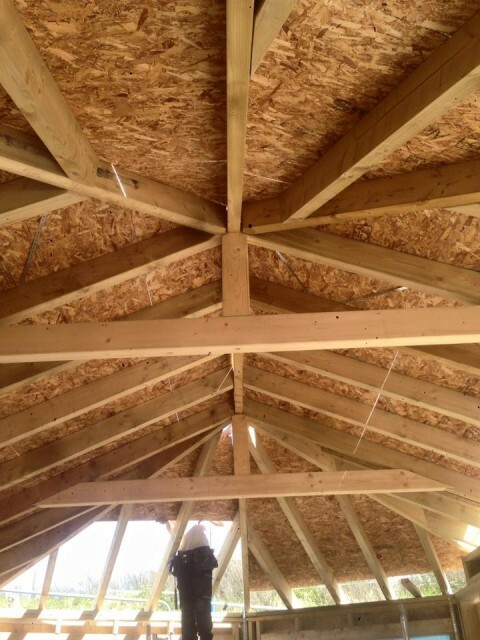 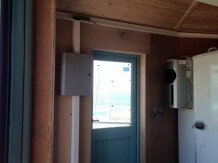 We are making good progress on this cabin for Fistral beach, Newquay. 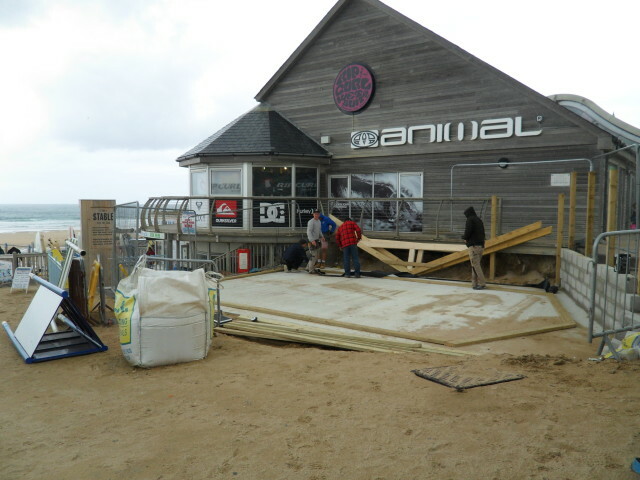 Once complete it will be a clothes shop and a food outlet. 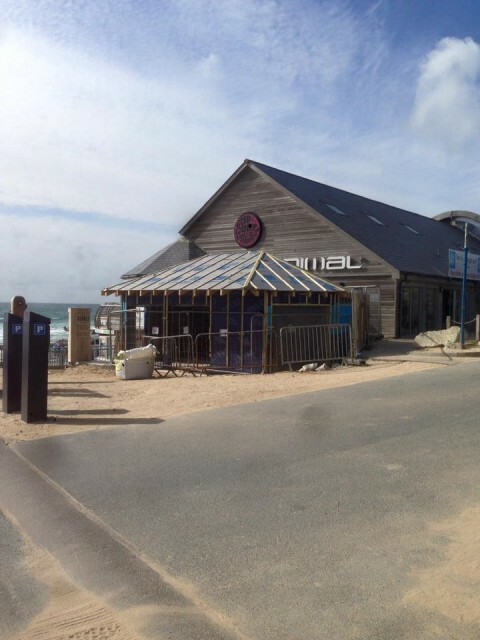 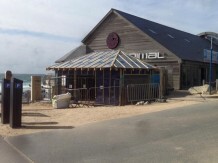 Check it out next time you are in Newquay. 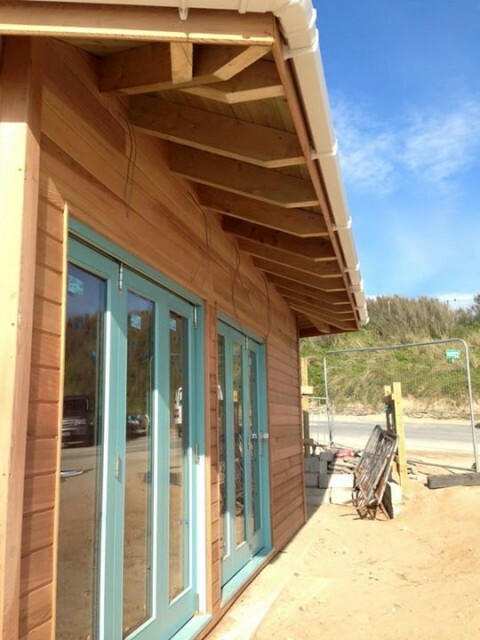 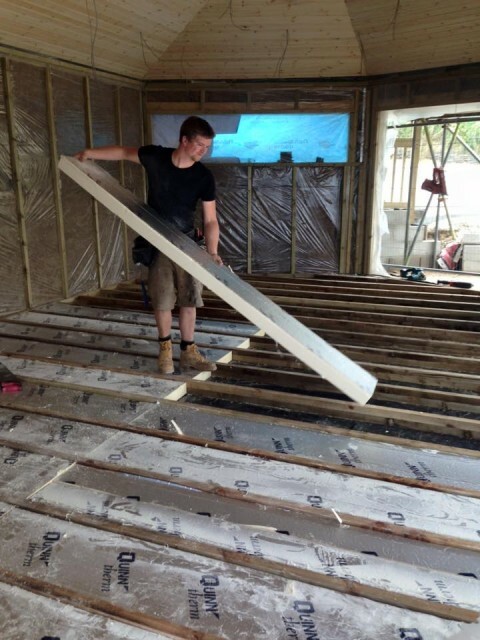 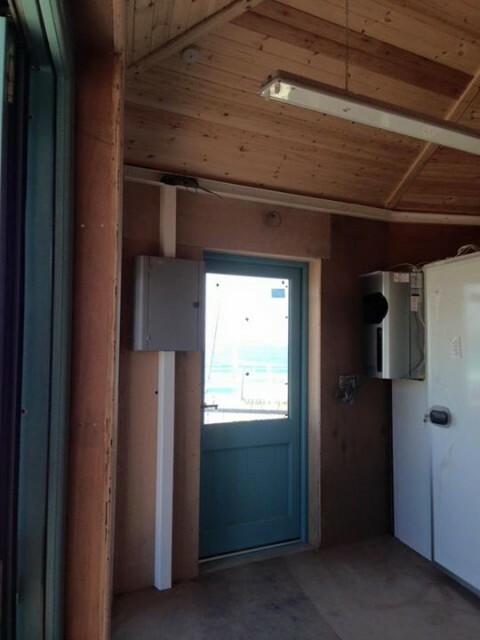 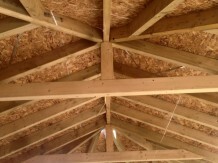 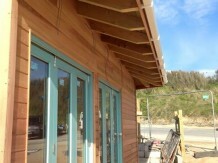 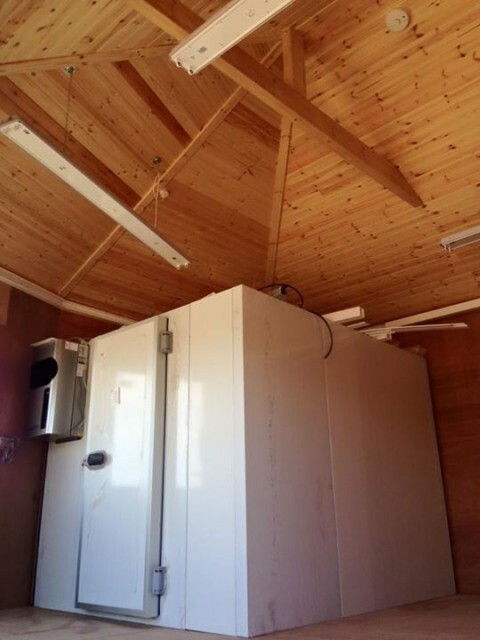 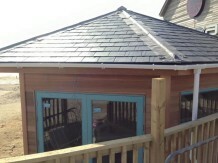 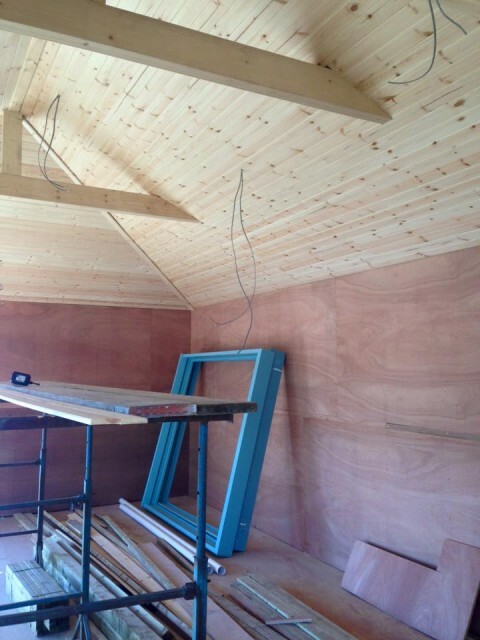 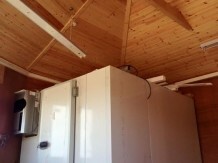 We were asked to provide the timber frame, cedar cladding, insulation, roof structure and the windows and doors. The ground works, base, roof slating, electrics and plumbing were by others.